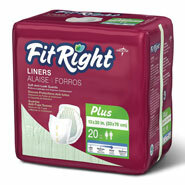 Add maximum leak and odor protection to your favorite style of undergarments with FitRight liners. 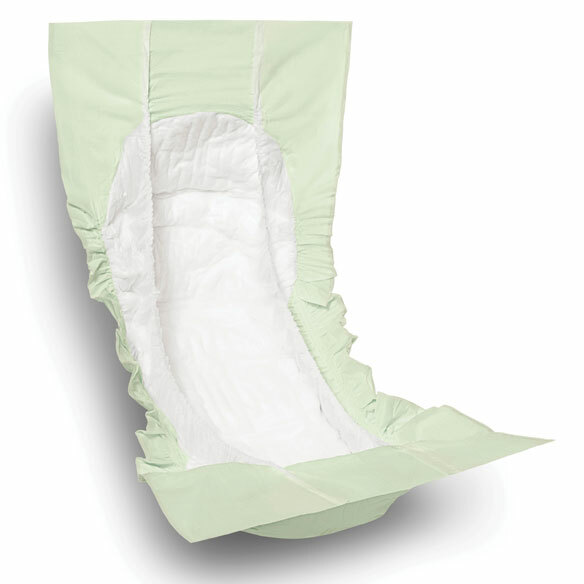 Heavy-absorbency incontinence liners feature a low-profile core for improved comfort and fit. Unique leak guards contain urine and feces, with a cloth-like back for quiet, discreet wear. Each 13" W x 30" L.
Thought they might be better than what i have. I am incontinent and must wear diapers at night. 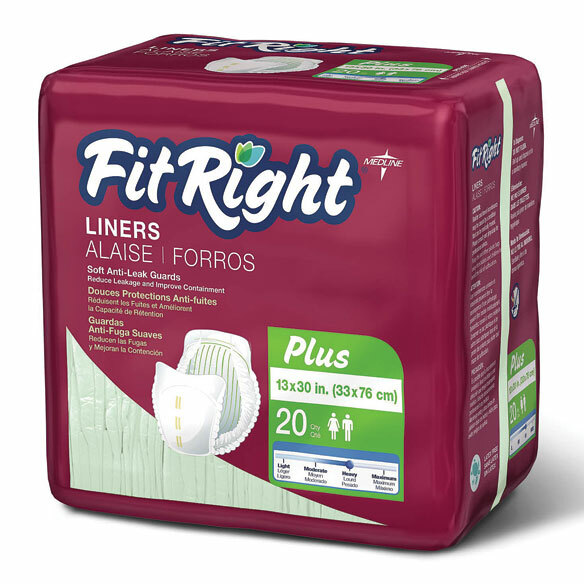 I use pads during the day and I am hoping that since diapers irritate my upper legs, that these pads might be an option a couple of times a week to give my legs a break from the diapers. Once again...worth a try. Looking for something more absorbent than sanitary napkins. I have IBS. Also due to a birth problem when my daughter was born, I have incontinent spells. I am looking for protection that I feel comfortable and secure. I saw these advertised and decide to try them. trying new product to see if it will do the job. I want to try these instead of liners. Try them out. Possible better coverage than what I currently use. Think this product will work. I want to see if they fit better then the ones I used and they did. What keeps the pad in place? BEST ANSWER: These pads are apparently designed for use with the Premium knit under pants (sold separately) because there is no adhesive on the back side. My 86 year old dad did not find them useful. He prefers the pull up style better. Hope this helps. How do they adhere to underpants - do they fit in a pocket or adhere to the underwear? BEST ANSWER: Thank you for your question. There is no adhesive strip in the Fit Right Liners. They are wide enough where they should stay put. We hope this information will be of help to you.